which is probably why I love him so much. He can mean so many different things at so many different times. No other superhero… wait thats not right… no other literary character I can think of right now, can be bent, formed, changed in such a way, but still be uniquely identifiable as what he is. A symbol of justice, even in our world, who absolutely made somewhere, somewhen a kid decide against doing something criminal or bad in general, simply because that is not what Batman would do. The kid couldn’t simply live with having done something that this fictional character would disapprove of, because it could never enjoy a Batman movie or comic without feeling shame. At one point that kid was me. Maybe you. I am sure it was a lot of us, all over the world, who like to immerse ourselves into fictional worlds, who love to spend a few hours in Gotham, or Wayne Manor. I know that I have a special connection to this fictional character. A connection some people would call weird, or crazy. The truly crazy thing is that Batman is the character that I heard mentioned most in my life by other people in that very same way. Batman, not Jesus. The guy in the batsuit. So something has to be inside so many of us that Batman homes in on. 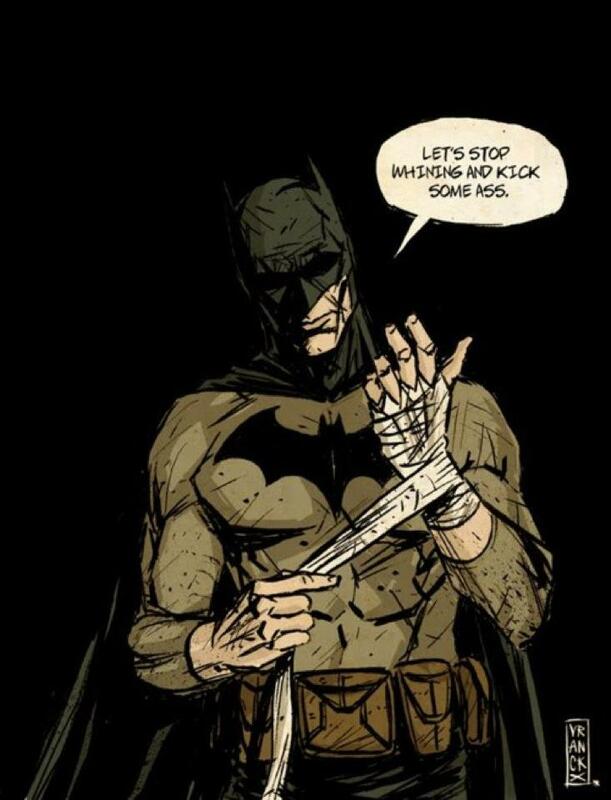 You could say that has something to do with me having a circle of friends with the same tastes… but in reality I only have one friend who loves Batman at all… and he isn’t even reading the comics. The people I mean I met through happenstance on a vacation, or when I sat in the hall of my University, waiting for an appointment. 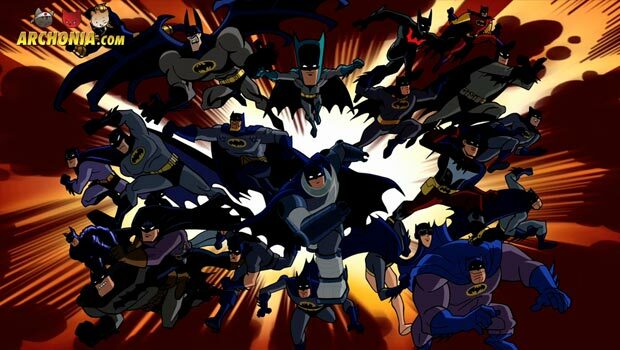 Batman being the most awesome character ever, is the thing me and random people have agreed on the most, but why is that? 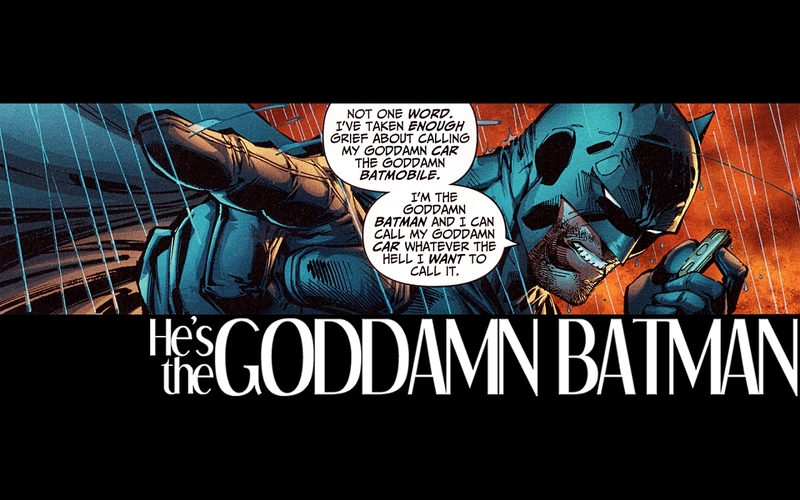 Is his versatility the reason Batman is arguably the most beloved superhero and maybe fictional character of all time? Well… maybe. You can like whatever version you want, since there are so many that there is a Batman for almost every taste and none of them are “wrong” or less accurate than any other. He worked incredibly well as a campy figure in the 60s TV show and he works just as well (if not better) when taken super serious in the Nolan movies and everywhere in between, from the half campy-half dark Burton movies, to the video games, to hundreds of differently written interpretations in the comics! Danny O’Neil’s Batman is different from Paul Dini’s and Scott Snyder’s, Grant Morrison’s and Frank Miller’s version, but they all are uniquely and very clearly Batman! So apparently Batman means a lot to a lot of us, but what does he mean to me? When I was little he meant entertaining action, dressed in an awesome costume. Just around 6 years later he meant strength and fortitude, while I was bullied in high school. When I broke my arm in a really bad way and was lying in a hospital for the first time in my life in my 20s and absolutely hated that, he meant escape and shared pain (because I read Batman/Grendel, where Batman has his arm broken as well). When I was unhappy with being an underweight skeleton all my life he meant inspiration and made me go to the gym three times a week (its now 7 years later and I am still going). He actually gave me strength, like faithful people get strength out of their religion, to try and become the best version of myself. So, as all great fictional characters, Batman is actually greater than the sum of his parts. He is whatever you like him to be, for yourself. The fact that Bruce Wayne is just a human, like every one of us, who’s only superpower is not his wealth (as some people would put it), but his will to be better. A better version of himself, of ourselves, which can actually stand side by side with a Kryptonian and other super powered beings… stand face to face with every version of criminal and horror imaginable or even a dark Kirby-esque alien god and not blink once! Batman is our potential to be good, to be great and to overcome every single obstacle, if we set our minds to it, even following crippling tragedy. He is perseverance and triumph, dressed in a cool costume. He is also the coolest character, with the coolest costume, gadgets, villains and setting ever, with the best and brightest creators in comics and film and every other medium honoring him time after time, resulting in the best collection of stories for a single character in all of fiction! Of course we also just love seeing him beating the everloving crap out of evil and injustice… but the true core of the character is what makes him truly special indeed. That’s the thing about Batman.